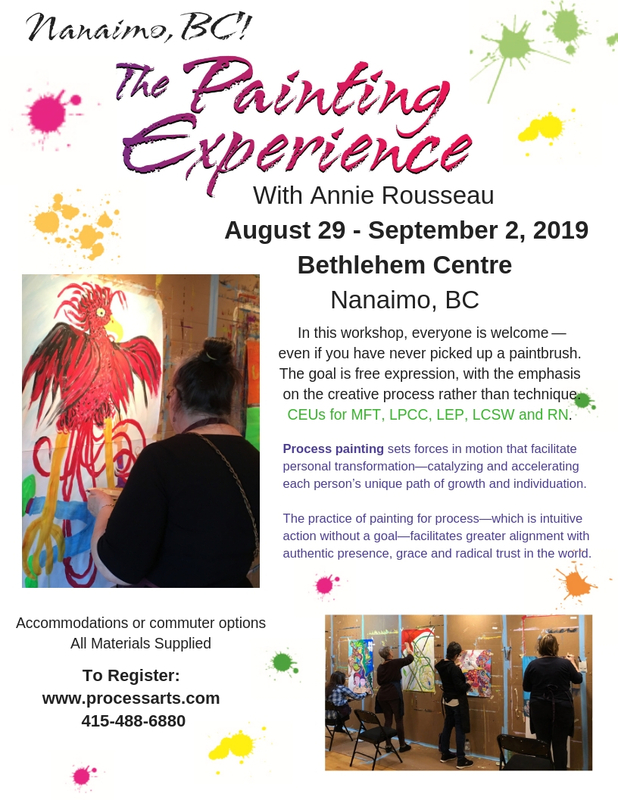 Join Annie Rousseau for a weekend painting retreat at the beautiful Bethlehem Center in Nanaimo, British Columbia. Bethlehem Centre is centrally located on beautiful Vancouver Island and boasts a picturesque setting at the foot of Mount Benson on the beautiful shores of Westwood Lake. The wooded setting with gardens, a pond and labyrinth inspire deep tranquillity and personal reflection. Tuition: $615 USD for US residents l $465 USD for Canadian residents. Your tuition includes all art materials, daily facilitated painting sessions, group discussion circles in supportive community, video presentations about creativity and the practice of art as process. Tuition does not include accommodations and meals. See below for options and costs. You're welcome to arrive anytime after 3:00 pm on Thursday. All prices below are shown in and will be paid in Canadian dollars. PLEASE NOTE that this is different from the tuition cost shown above, which is in USD and is paid in USD. Canadian Resident Discount: Your tuition will be paid in USD. We offer a discount for Canadian residents to compensate for the difference between USD and CDN. 22 CE Credits are available for MFT, LCSW, LPCC, LEP and RN for a $25 fee. Learn more. You will receive a full refund minus a 25% handling fee if you cancel before August 1st, 2019. After that date, your payment is nonrefundable and nontransferable. Bethlehem Center is located in Nanaimo, easily reached from Vancouver and Victoria. Bethlehem Centre is easy to find. Once you are on Highway 19, turn west on Jingle Pot Road at exit 18, turn left onto Westwood Road and then right onto Arbot Road. Keep left as the road curves right, and you will find Bethlehem Centre on the left hand side. A recently upgraded international airport is 16kms / 10 miles away. With direct flights from Vancouver, Calgary and Abbotsford, it is simple to arrive here quickly from anywhere in North America. The Ferry crossing from Horseshoe Bay in West Vancouver to Departure Bay in Nanaimo is the most popular route to Nanaimo with departures every 2 hours. The crossing time is an hour and forty minutes. During peak sailings it is recommended to make reservations to ensure your spot on the boat. Once you have docked at Departure Bay, Bethlehem Centre is only a 15 minute drive, and is accessible by transit from the terminal.